Effects of El Niño in El Salvador, more than a month without rain. 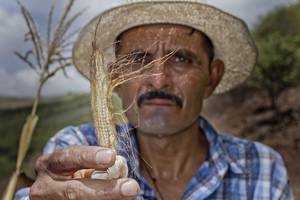 The Development Bank of Latin America said in July 2015 that Latin America was experiencing the phenomenon of El Niño. It was expected that the effects lasted until March 2016; the truth is that today it continues to damage and impact several regions. Many countries in the region declared state of emergency. The United Nations said 3.5 million people needed humanitarian aid. This phenomenon has been one of the worst recorded. The most affected countries are El Salvador, Guatemala and Honduras (Dry Corridor of Central America). UN urgent actions committed long-term development led by the international community. The measures are aimed towards food security, quality of life, increasing the resilience of soil and ecosystems and to restore those areas damaged by drought. “The challenge facing the Dry Corridor is not only climate change: it is also extreme poverty, and food and nutritional insecurity. We need to change the traditional response strategy and tackle the structural causes of poverty and food insecurity in Central America’s Dry Corridor, and not settle for simply mounting a humanitarian response every time an emergency situation occurs. We need to a focus on resilience, inclusive sustainable development, and climate change adaptation”. Some 10.5 million people, About 60% of Whom are in poverty, live in the Dry Corridor, a region Characterized by extensive deforestation, soil degradation and water scarcity. 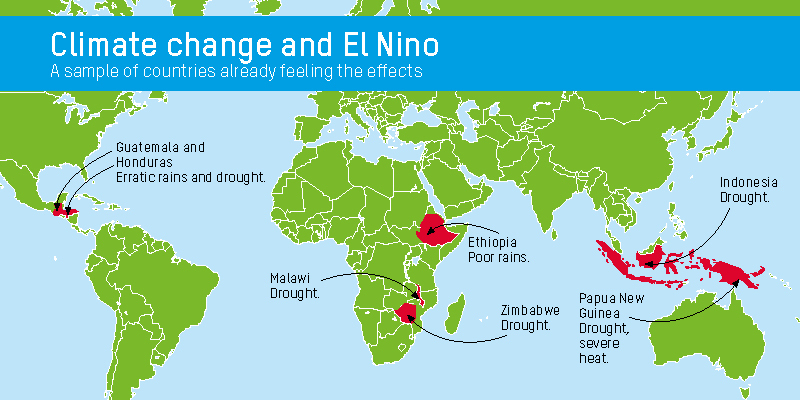 The phenomena of El Niño and La Niña aggravate the situation of these people; in recent years the frequency and magnitude of droughts and floods have increase by the effects of climate change. 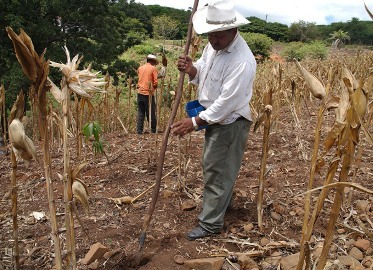 Read more about Drought in the Dry Corridor of Central America. Poor agricultural practices, uncontrolled extraction of biomass in tropical forests and poor utilization of water resources complicate the situation of these people. Prevention of soil degradation and uncontrolled water uses will help to reverse the impacts in the area. The implementation of sustainable agriculture is essential to give people food security and adequate nutrition for development. Sustainable agriculture plays a role in the fight against climate change, is the source of income for millions of people, improving the quality of life of rural populations, retains water, nutrients and carbon in the soil. 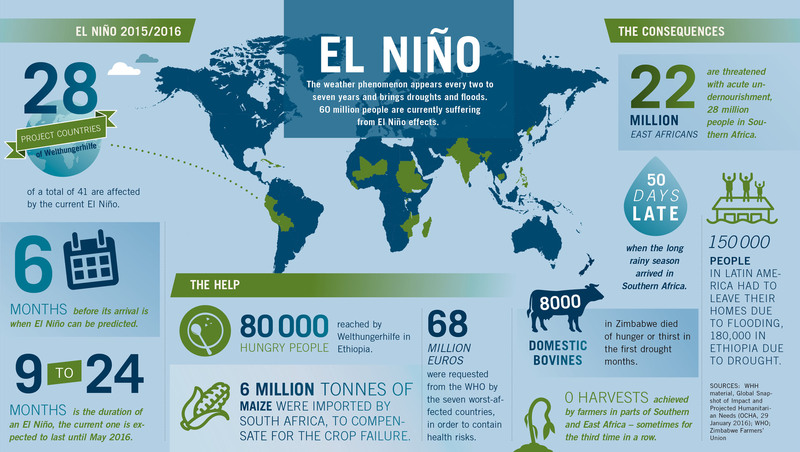 More about the work of FAO, WFP (United Nations World Food Programme) and IFAD’s (International Fund for Agriculture Development) to reduce the impact of El Niño here.